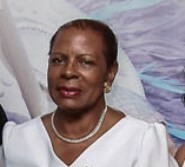 Culture Minister Brenda Hood has given the assurance that government will not get rid of the Spicemas Corporation (SMC), but instead will be working with the Attorney General’s Office to amend the original legislation which created the statutory body. “We are not getting rid of Spicemas Corporation. There will be an amendment to the legislation in going forward,” Hood said on Tuesday. Addressing media on a number of cultural issues Hood said that over the past month sections of the legislation which have to be amended were already identified and it’s just a matter of meeting with the Ministry of Legal Affairs, to undertaken the required actions. “The stakeholders have already contributed to the process, because as you know some have had concerns to which we listened, and we will move forward with the amendments, not get rid of the corporation,” she promised. The SMC was established by an Act of Parliament in 2011 giving it responsibility for the promoting, marketing and managing of carnival activities. The corporation receives an annual subvention of EC$134,000 towards operational costs, while it receives an EC$700,000 subvention to assist with carnival activities. Since it became operational some cultural stakeholders were concern about various aspects of its operations and a few clauses of the legislation which established the SMC as a statutory body. After its first year of operations some were of the view that the corporation should be “gotten rid of” and replaced by the administration of carnival as a committee under the Cultural Foundation or Ministry for Culture. “What we realised when we scrutinised the legalisation is that there are some minor amendments that will be required to solve big challenges,” said current Chairman of the SMC Alister Bain. “As it stands now if anyone violates sections of the SMC law there is no penalty. We as the board and some of our stakeholders think that there need to penalise any person or group of persons who violate the law. Without penalty for violating, the law itself has no strength,” he said. Bain explained that there is need to re-word or completely change the section of the legislation which speaks about engaging in cultural activities during carnival at private venues. “That section we also believe needs to change, so that we can avoid situations where a private promoter is having a competing event in a private or public space,” he said. Hood said that the management and stakeholders of the corporation held a retreat last week Saturday to review Carnival 2014 activities. “It was a very good session and certain discussions were made in going forward, which is expected to impact positively on carnival,” she said. “The biggest challenge faced by the corporation was financing, which sometimes arrives extremely late and that in itself affects the entire activity, but in moving forward the hope is to do things differently,” she said explaining that the SMC will be partnering with private promoters to engage in fundraising activities during the coming months. The minister said that despite reduced sponsorship and challenges with a proper venue for the Children’s Carnival Frolic and Panorama, the SMC realised an increase in gate receipts which surpassed EC$600,000. The show earning the most revenue was the Groovy Soca Monarch finals, with gates receipts of EC$366,373 while the show with the least revenue was Panorama which earned EC$17,439.